Built in the 13th century by Andrew de Cardinham, only the ruins now remain of this historic, moated manor house. Most commonly found in central and eastern England, moated manor houses are rarely seen in the South West - making Penhallam an unusual find. 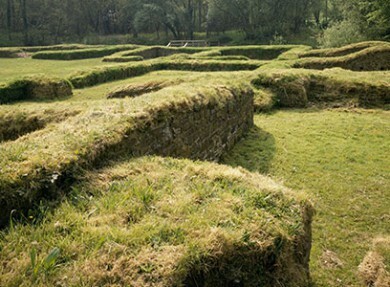 It is thought that the De Cardinham family may have originally lived in the nearby earthwork castle that can be found at Week St Mary before creating and moving to Penhallam which had a more sheltered location. However, it appears that the house wasn’t inhabited for all that long – following Andrew de Cardinham’s death in 1256, the lands were split between his daughters in the absence of a male heir. By the 14th century it had been passed to tenants and by 1428 the lands had been partitioned off. 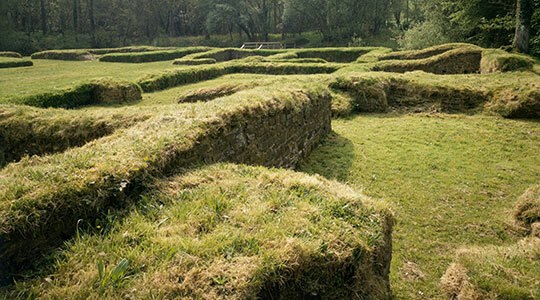 Following its abandonment, many of the locals would most likely have helped themselves to the building materials of the home – resulting in it being reduced to its bare foundations. Entry to Penhallam is free and visitors are welcome to explore the site during any reasonable daylight hours. The site’s delightful woodland setting, its fascinating history and the fact that the de Cardinham family features in Daphne du Maurier’s novel ‘The House on the Strand’. The small ringwork or Norman Manor in nearby Week St Mary that might have been Penhallam Manor’s predecessor.